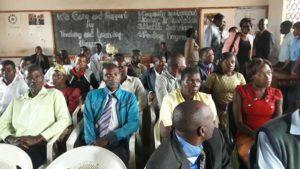 On 9 May, the Malawian Ministry of Education, Science and Technology hosted a visit by SDC and MIET AFRICA (CSTL’s funding and implementing partners, respectively) to two CSTL laboratory schools. 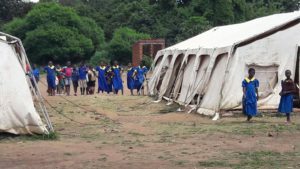 Chingoli is a large primary school (Grades 1–8), with an enrolment of over 2000 learners, who are drawn from a severely impoverished area outside Blantyre. 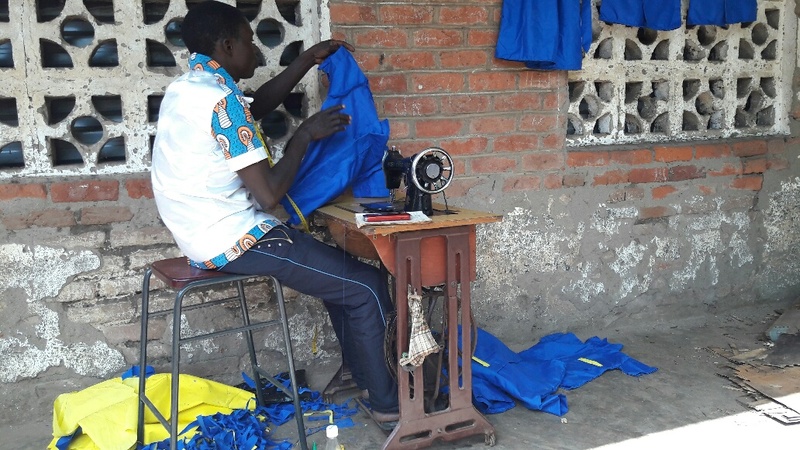 The school was physically destroyed by the floods in 2015, and since then has been operating out of a church hall and tents provided by UNICEF, while it awaits the building of new premises. 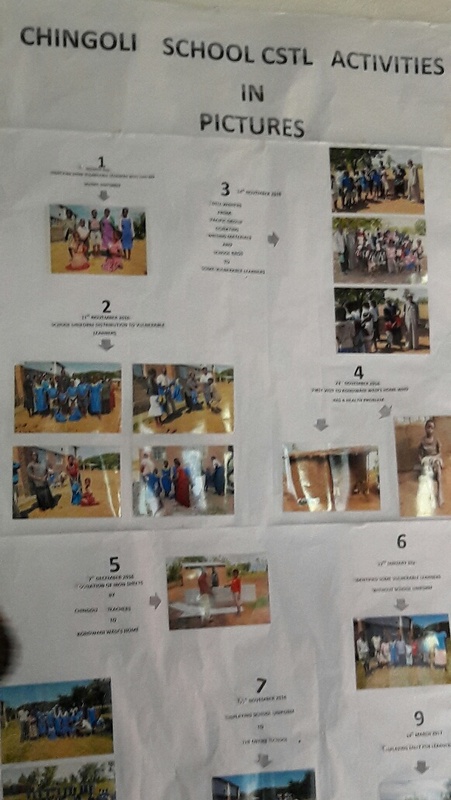 Teachers shared with us how they have integrated care and support into the Life Skills curriculum, using various MIET AFRICA-developed resources and those of others. They also described how CSTL is implemented practically, for example, through the introduction of extra-curricular clubs and the maintenance of the first aid kit. 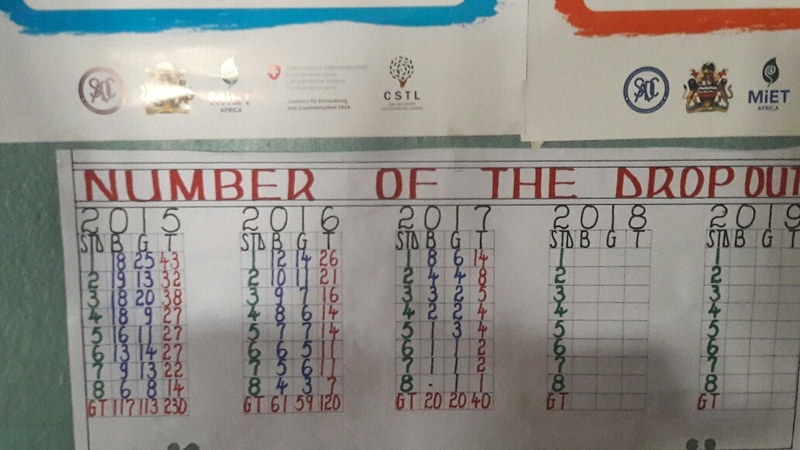 Learners themselves demonstrated what they have learnt since the introduction of CSTL through four extra-curricular clubs—Girl Guides, Life Skills, AIDS Toto and Child Rights. The knowledge and confidence they displayed through role plays, songs and poems were impressive indeed. The principal, a highly committed and passionate leader, described for us the impact CSTL has had on the school, providing enrolment and dropout statistics as evidence. Enrolment has increased from 1868 in 2015 to 2128 in 2017, while dropout has decreased from 230 to 40 over the same period. He attributes this primarily to the introduction of a school feeding scheme and the involvement of the parents and community in ensuring that all children attend school. Also impressive is the introduction of a specialized resource centre that has enabled children with physical and intellectual impairment to enrol at the school. 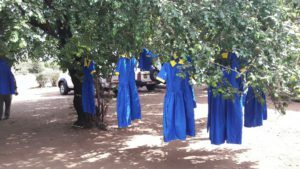 Mkhande High is a much smaller school (Forms 1–4), with about 180 learners, also drawn from an impoverished rural community outside Blantyre. It is extremely well-maintained: what immediately impresses as you enter the premises are the spotless school grounds and attractive surroundings (trees, flowerbeds, etc.). The principal is clearly a passionate and hard-working leader, and is the only female on the staff. 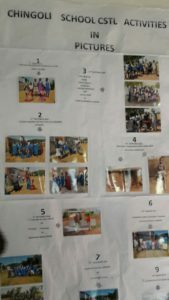 We were shown evidence of the four CSTL areas that the school focuses on: nutrition (school feeding), water and sanitation, community participation and health. The involvement of the community—the PTA, mother group, traditional leaders—is particularly impressive. 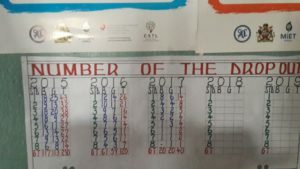 They support the school in so many ways, for example: by maintaining a thriving food garden and using the produce to provide a daily balanced meal for all the learners; by building houses for the staff; by encouraging the children to attend school. The school also has a very strong relationship with the local clinic, which provides learners with sexual and reproductive health education and services, including HIV testing and condoms; it also inspects the water and sanitation facilities regularly. 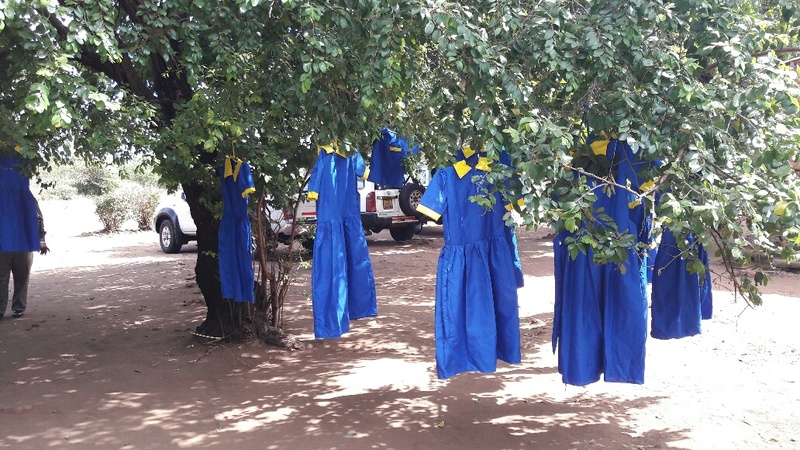 The principal has also attracted several partners to support the learners in various ways—for example, Camfed provides over 20 vulnerable learners with full scholarships. We were treated to an entertaining and informative session by the HIV and AIDS Club, during which learners shared their knowledge related to HIV and AIDS in a confident and relaxed manner. The overall impression is one of a very well-functioning school with happy, well-cared for learners and teachers. I would like to congratulate Virginia Kachigunda (the MoE focal point person), Pontsi Buthelezi (MIET AFRICA’s regional coordinator) and the CSTL Malawi team: firstly, for a wonderful two days that were well planned and executed; and secondly, and most importantly, for the truly amazing work that is being done in the country. 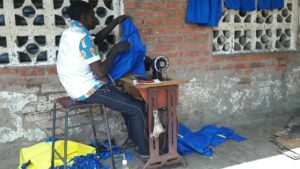 Although one of the poorest Member States in the SADC Region, Malawi is flying—thanks to a committed, passionate and hardworking team of people.